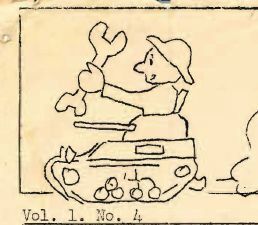 This entry was posted in Old Things and tagged 10th Armored division, 1942, 1945, bastogne, georgia, maintenance battalion, militaria, WW2 by Ken. Bookmark the permalink. Very Cool! Especially the Yellow Nippon and Nazi Dog references show the prevailing sentiment of the times. Thanks for sharing these old documents with the present day reader. The essay on “think” before acting is timeless as well.